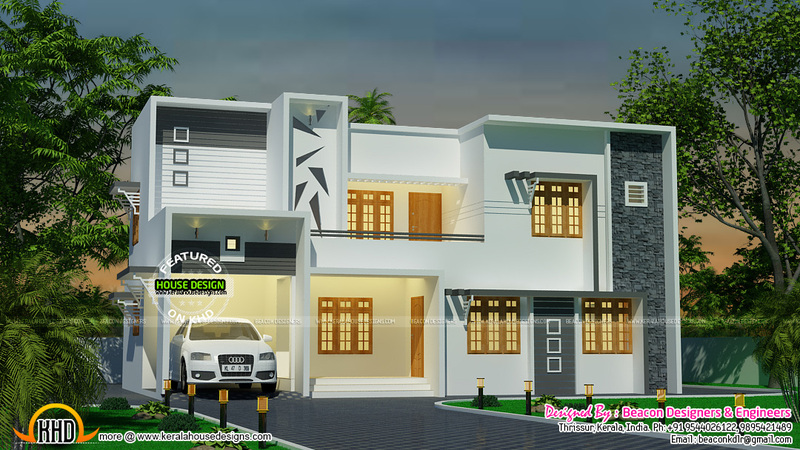 1975 Square Feet (183 Square Meter) (219 Square yards) 4 bedroom modern contemporary house plan. 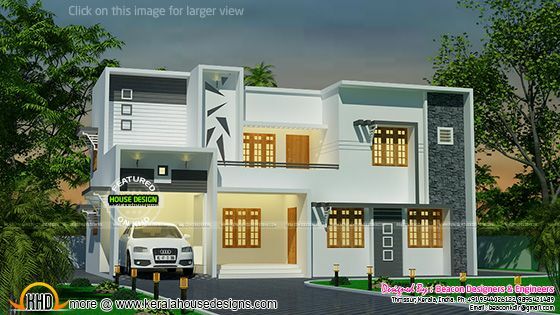 Designed by Beacon Designers & Engineers, Thrissur, Kerala. Ground floor : 1232 Sq. Ft.
Total area : 1975 Sq. Ft.